Such an out pouring of love and support is so very much appreciated! For more information please go to www.joanneshenandoah.com and share this site. The email for specific questions can be sent to info@joanneshenandoah.com. Kindly be patient as we undertake this most amazing and wonderful task for such a talent!! With respect and gratitude we appreciate your support and look forward to hearing from you! Hello my dear friends and supporters of peace through music. It’s been a while since I’ve checked in because the doctors will do a realm of tests this coming month and I’m anxious to see how this will affect my ongoing plans to do more music. My husband Doug hit a deer in Nov 2017 and so I’m still feeling the results of that damage, tearing a meniscus (had surgery in June) in my knee and I also need surgery for my rotator cuff as it is stretched as far as it will go and the doctors say it could snap at any time. Needless to say it is not easy to carry a guitar or my new grandson. I am honored and grateful to have shared in the birth and care of my new grandbaby while healing. He is an absolute miracle which brings me to tears of joy and gratitude. He is indeed a very bright being who has an old soul. I had a biopsy last September on my liver which the doctor’s suspected was cancer. A very long needle had to reach in front near my lung and almost to my back on the other side of my body to take the biopsy. I have never actually been nervous before but when they said they could puncture my lung my knees began to shake. As a rule I am never nervous and so this was a new experience. There was immense pressure during the procedure but alas! Results were grand! No cancer! Many people suffer from cancer while waiting for a transplant and the system is just difficult to understand. During this “waiting period,” I continue to meditate and be grateful to continue the blessing of life journey. I am getting closer to finishing my book “Lifting the Spirit,” which will hopefully help others find a way to heal through difficult times. I continue to work on inspiring our youth but as you can imagine the funding is minimal. I hope to get another recording composed this coming year and have about 50 songs which are waiting in the wings. As usual the medical Co-pays and deductibles are high and I ask if there are those who might consider donating, it would be a tax deductible contribution. I pray our paths will cross again and I want to again thank all of you who have helped by donations to my go fund me account or by writing kind notes and sending gifts to me, which astound me. I am a blessed woman. I appreciate your donations, love, prayers and on-going desire to bring peace to our world. My dear friends and music lovers! Although Doctors told me I would not heal without a transplant, I remain positive and full of hope. I am a new grandmother since September 25th. A beautiful baby boy, Kieran Ryder! It’s a definite transition, but I am so excited to be alive and experience this blessing. Please know that your contributions have helped so very much and I thank you from the bottom of my heart. We are in the red as far as on-going medical needs, such as deductibles medicines not covered and left over bills from the Mayo Clinic. If you are able to help please know that it would mean the world to me. I am so very greatful our Creator has given us the gift of life... even though things seem tenuous around the world I believe there are those of us who dream of a time when we can all live in balance and harmony with one another and the natural world. With genuine love and gratitude for your support. My dear friends and supporters of my music! I have some wonderful news. After all a few months of concern due to a nodule discovered during an MRI... and biopsy for cancer, my doctor called to let me know that my liver is regenerating and that it is a miracle! Thank you for continuing to follow my journey to healing!!! Operating around half the energy I normally would (for which I am grateful), I have a renewed sense of hope with my first grandbaby due the end of September. We are very honored to be welcoming a boy! Also, I’ve been performing as I am able. I’ve continued to be relentless with taking all precautions and following through on many requests from the doctors. I wish I had better news to report, but am asking for your continued prayers and support. After several sonograms and another MRI – I’ve been notified that there is a 12 mm nodule on my liver. Either it will be regenerative, or cancerous, as many patients in my condition are more prone to cancer, diabetes and on-going organ demise. They will do a biopsy in the next few weeks to determine next steps if necessary. On a GOOD note, however, my bloodwork is nearly normal for the first time in 3 years!! Please know that I am ever grateful for the shares of my story and the help with all expenses related to all the costs associated. I should have another report very soon. I would like to take the opportunity to thank each and everyone of you for your kindness, prayers , love and support for my sister Joanne Shenandoah! Your donations are helping Joanne more than words could ever say. May Creator bless you all! Hi Joanne, You are going to get your prayers answered the Creators presence is going to fill your room as we pray. You are a beautiful person in and out .stay happy that will help your body heal. Lorna Jones & Owen. This is amazing and wonderful news. May regeneration continue! Such terrific news Joanne! Our prayers are being answered. May God fully restore your liver function and continue to baffle the experts! Much love and blessing always. Dear Vicky: (for for my sister Joanne Shenandoah!) I first heard about your sister's recordings when I was in my 30s. I also became aware of Daganiwa and Haitawa'' journey. Your sister sang the whole history of their journey together. How to establish that Law of Peace, The Law of the One Infinite Creator. Tell Joanne I bought her CD via Amazon recently and I will be sharing this with others! - With un-condiontianal Love to you and your family , friends and the circle of love. 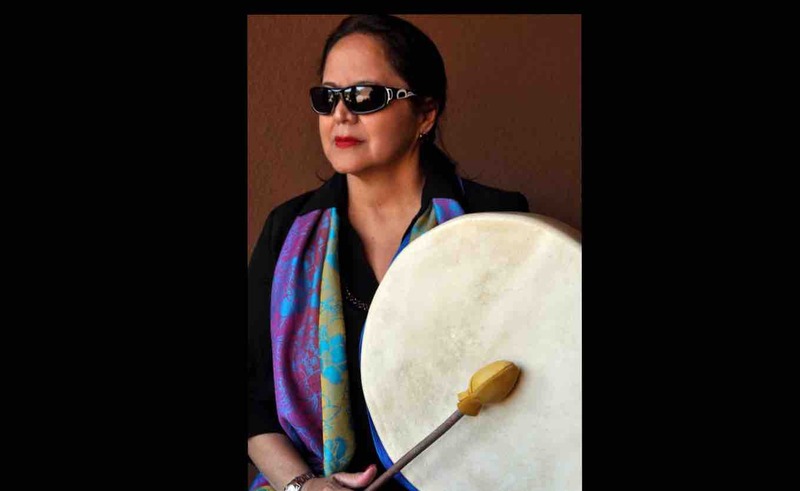 Joanne, you are a wonderful lady and I pray that Great Spirit will have you healed and with us longer. Thanks for sharing your music with the documentary Generation Red Nation. Lots of Indian followers. If I made money, I would have sent more. You are a human treasure. I am sadden to hear this. I will burn sage and pray for her. Your music has healed me and nourished my family through dark and light times. We have enjoyed Joanne’s music for years now and wish her well in her journey. I have thoroughly enjoyed Joanne's music fervently hope that this combined with everyone one else's donations can help in her healing. She'smy favorite awesome person and artist.